Apple wants record labels to take a smaller cut from music streaming | What Hi-Fi? Apple is looking to renegotiate its deals with record labels, to bring Apple Music and iTunes more in line with Spotify. 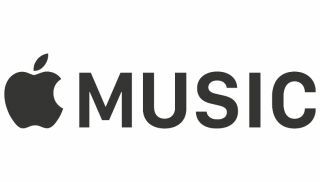 Apple is to renegotiate its deals with record labels regarding Apple Music and iTunes, with the labels receiving a smaller cut than before. According to Bloomberg, Apple is aiming to move in line with the rate paid by rival streaming service Spotify. Under Apple's current deals, labels receive 58 per cent of the revenue from Apple Music, whereas Spotify pays 52 per cent. Spotify previously paid 55 per cent, but this was reduced after guarantees that Spotify's subscriber base would grow. Recently, it hit 140m users. However, Spotify has admitted that the value chain between labels, streaming services and artists is broken, claiming that musicians aren't paid enough. The company is trying to combat this through new features like hi-res music or more exclusive songs. The talks will also cover iTunes. Labels were initially concerned that Apple Music would be too competitive for iTunes, and though online sales of music have fallen while streaming increases and becomes more profitable, online music still accounts for 24 per cent of sales in the United States, and may also boost the sales of physical media.